Way back in Ye Olde Tymes of 2000, Mel Gibson starred in the comedy What Women Want, a monster hit at the time that would be wildly problematic today in a post-#MeToo era. Luckily, a remake that flips the script is hitting theaters this week in What Men Want. Taraji P. Henson stars as Ali, a hard-driving sports agent who just wants to be recognized at her all-male sports agency. When she’s passed over for a promotion she was sure she had, her career hits rock-bottom as she wonders what she has to do to break the glass ceiling. After a strange encounter with a psychic (and unexpected head trauma later that night), Ali suddenly wakes up with the ability to hear men’s thoughts. She realizes she can turn it to her advantage, but she has to figure out how to juggle a new love interest, her career, and discovering that she may have been her own worst enemy all along. Few genres seemingly lag behind when it comes to relying on worn-out tropes like comedy. 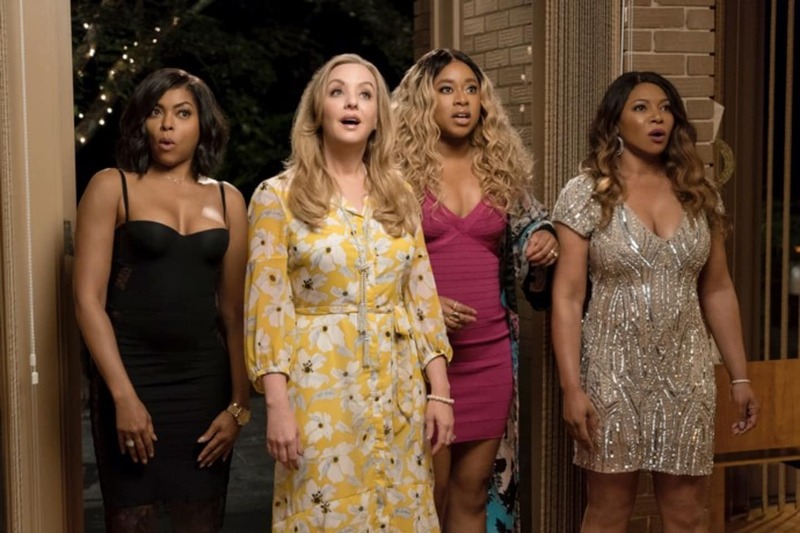 But director Adam Shankman and producers James Lopez and Will Packer were determined not to rely on stock characters and create ones with more depth and realistic stories. As a result, two of the major supporting characters in the movie–Ali’s gay assistant, Brandon (played by Josh Brener), and her love interest, Will (played by Aldis Hodge)–have personalities with almost as much depth as Ali herself. Too often in comedies and rom-coms, the gay sidekick is reduced to a stereotype whose personality would best be described as “sass” and…that’s about it. In a more self-aware take, What Men Want offers Brandon the chance to have his own life. Rather than just a one-dimensional prop to support Ali, Brandon is a character with his own goals and aspirations, stands up for himself when needed, and even gets a bit of a romantic storyline himself. It’s refreshing to have a gay character for whom his sexuality is merely a facet of who he is and not even the most important thing about him. Aldis Hodge’s Will isn’t your typical love interest, either. He’s neither there to solely be eye candy nor to exhibit the problematic tropes of too many male romantic leads in rom-coms. Instead, he offers us a peek at a character we don’t often get to see in film: the black man who is a single father and for whom his son comes first before anything. Will is, simply put, just a really good dude, one who is amazingly, refreshingly, thank-freaking-Godingly without toxic masculinity. He’s content to let Ali be the ambitious career woman and take a back seat to her goals, not because he’s a typical loser without ambition but because he has his own plans and his own priorities. He respects her but isn’t intimidated by her; he supports her but doesn’t worship her. Likewise, there are a few other smaller support characters with surprises up their sleeves as you think they’ll zig one way and then they zag another. It makes it far more interesting to watch than your formulaic characters in comedy. If you’ve only seen the greenband trailer and assumed What Men Want is rated PG-13, let me assure you it is definitely not. It’s rated R, and with good reason. The humor runs the gamut from slapstick physicality to raunchy dialogue, all sprinkled liberally with the F-bomb. But, really, when you have actors like Pete Davidson on board, would you expect anything different? The over-the-top absurdity works, particularly as the modern, R-rated female-led comedy is one we’ve only begun to explore. Some of the funniest scenes in the movie pull double duty, showing a woman both figuratively–and literally–on top in raunchy bedroom encounters. The chemistry between the characters is clear; the dialogue clicks along and helps land jokes that might otherwise have fallen like lead from actors with weaker comedic timing. After her success playing Cookie in Fox series Empire, Taraji P. Henson has tried to make the jump to a leading woman on the big screen a few times, to middling success. What Men Want gives the ultra-talented Henson the rare chance to flex her comedic muscles and show she can do more than just pulpy, dramatic roles. As Ali, Henson gives a well-rounded performance that runs the gamut from wild physical comedy to smaller moments of crushing self-realization. Initially, it’s entertaining to see a female character acting like, well, a male one, but you soon realize that Ali isn’t acting like a man; she’s just acting like a complete a-hole. Her lack of self-awareness about how she comes across to others isn’t often how we picture women; women are supposed to be the ones who help men to grow and become more mature, not the other way around. Henson handles a role that is simple on the surface but more complex when you dig down with an ease that reminds you she’s a truly gifted actress. Ali is imbued with a rare sort of depth for a comedy lead, one whose evolution and self-awareness come gradually and in moments of growth that feel natural, despite being in the middle of a raunchy rom-com. In summary, if you’re looking for a great date movie or a fun time out with friends (both guys and gals), What Men Want is the perfect choice at the theater. You can get your tickets here.